Will Markelle Fultz play in the summer for the Sixers? 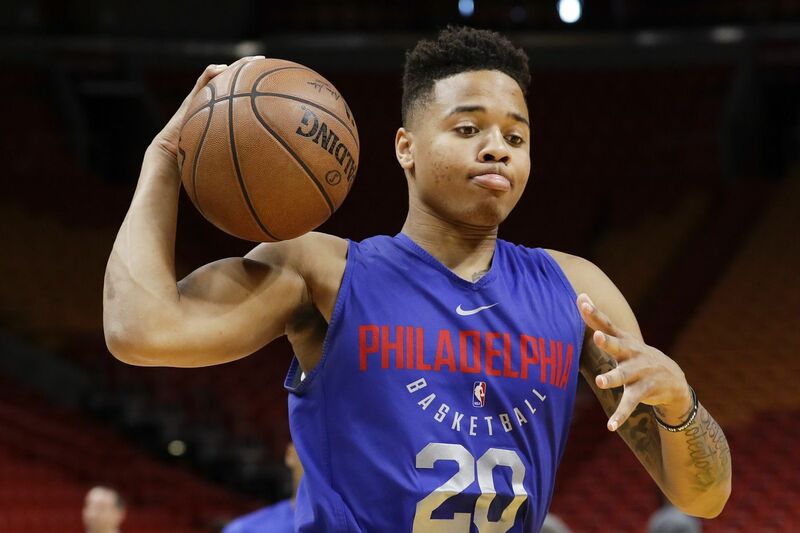 Will Markelle Fultz play summer-league ball? We'll have to wait a bit longer to find out the answer. After a predraft workout session Monday, 76ers coach and interim general manager Brett Brown said no decision has been made regarding Fultz's summer plans. "We're going through all that right now," he said. Brown, who took over GM duties after Bryan Colangelo's resignation Thursday, is busier than usual at this time of year, with more than just coaching on his plate. The draft is right around the corner, on June 21, and free agency will start July 1. The Las Vegas summer league will run from July 6-17 and feature all 30 NBA teams. A decision on Fultz's availability will likely come soon. >>READ MORE: Could LeBron James end up with the Sixers? Fultz, the No. 1 overall draft pick in 2017, played in Las Vegas last summer. But after a tumultuous year of lost shooting mechanics and his playing in only 14 regular-season games, with zero three-pointers taken, there are still a lot of questions surrounding Fultz. At Fultz's exit interview in May, Colangelo said that one reason the guard might not take part in summer league was that having a No. 1 pick play in two consecutive summer leagues could have a negative perception. Many would argue that after the year Fultz had, a summer-league appearance could be only positive for the 20-year-old. Fultz closed out the 2017-18 campaign with three playoff appearance in the Sixers' first-round matchup with the Miami Heat. He managed to score only in the first game, finishing with five points in 13 minutes, 57 seconds. He racked up 8:59 of playing time over the next two games, but was scoreless.